Researchers published two separate studies in the journal Nature today confirming the role of the cortex gene in the coloration and darkness of butterfly and moth wings. In the early 1800s, peppered moths (Biston betularia) in the woods around Manchester, England were grayish white and covered in (pepper-like) black specks. By 1848, on the heels of the Industrial Revolution, naturalists had found a second, all-black variety. By the 1950s, the carbonaria type, as the black-clad moths were called, had taken over. Animal coloration is about more than simple aesthetics. Such a drastic change in appearance could only mean one thing: the new look conferred some evolutionary advantage. Something in the moths’ world must have changed so drastically that black became the new white. Indeed something had changed: the trees. The smoke and soot produced by Manchester’s factories had darkened the forest. The once well-camouflaged white moths would stand out starkly against the trees’ now-dark bark, but black moths could stay hidden from predators—and thus survive to live and breed. Fortunately for Britain’s forests but unfortunately for black moths, Manchester made something of an environmental recovery. By the late 1900s, the trees had lightened up once more. With that, Carbonaria moths were again at a disadvantage, and so their numbers dwindled. The peppered moth’s bizarre-but-true story has become something of a morality tale, but one element was missing: just how the moths made their costume change. A single insect can’t change the color of its wings any more than a person can change his or her skin color. These changes happen over generations, as an individual with a beneficial genetic mutation survives and reproduces, passing the mutation along. That mutation has now been identified. Researchers at the UK’s University of Liverpool and Wellcome Trust Sanger Institute say that around the year 1819, one moth’s genetic code was host to a change: the insertion of a chunk of DNA into a gene the researchers call cortex. That inserted DNA is made of copies and repetitions of code from white moths. 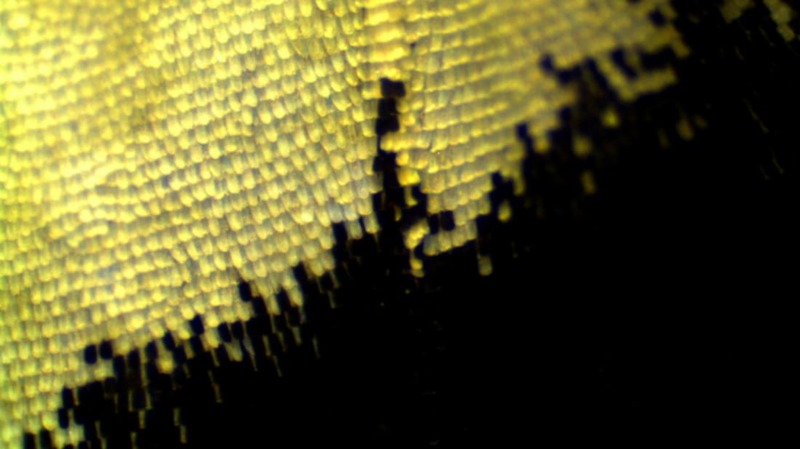 The authors say the extra code may encourage cortex to make more of a protein that affects the development of wing scales. At the same time, an international team of butterfly researchers found cortex at work in the genus Heliconius, also known as the passion-vine butterflies. Like the peppered moths, the wings of these butterflies have changed dramatically and rapidly in a relatively short amount of time. The scientists used DNA and gene expression analysis to compare the genetic codes of different Heliconius variations. Their results led them, like the moth researchers, to cortex—a fact that suggests it might be responsible for patterning in other species, too.